New Delhi, Nov 5: There are 25 NGOs that are under the scanner for alleged anti national activities. The renewals of 11,000 NGOs under the FCRA were cancelled as they had not applied for a renewal. The ministry for home affairs however found that there were alleged anti national activities being carried out by 25 NGOs and hence has decided to deny a renewal of the FCRA licence. 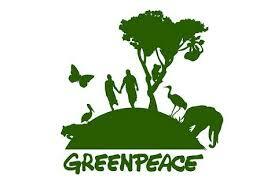 The Union Government has seized seven bank accounts of Greenpeace and also suspended it’s registration. The Union Governments decision comes in the wake of the NGO Greenpeace not being able to explain the flow of foreign funds into its account. Greenpeace has been in the eye of the storm ever since an Intelligence Bureau report accused the NGO of bringing in foreign funds and utilising the same for anti national activities.